When parents are active, the kids are, too. Embrace autumn by making a point to take to the hills together. Choose a trail that matches your family’s hiking skill and experience. Always pace your outing to the youngest or slowest walker in your family and build in time for breaks. 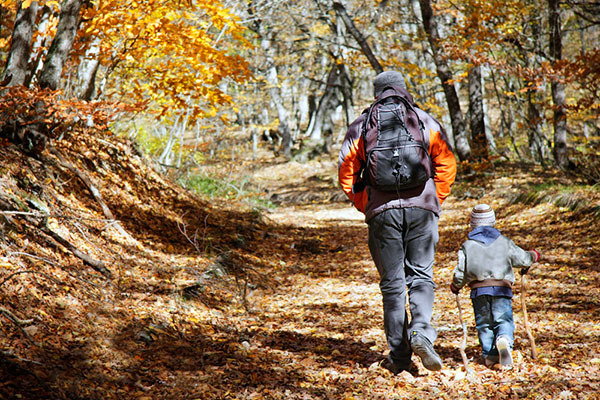 If your family is new to hiking, choose a short, easy, circular trail. Here's a list of great trails and spots for hiking in Tennessee. Paved trails are great for families with children of different ages and abilities because they are accessible by bike, stroller and foot. Once you’ve built up your family’s endurance, you can attempt longer and more challenging trails where your kids can scramble over ravines and boulders. No matter how short or long your hike, remember to pace yourself and take frequent breaks. Know the trail before you go. Use your local library and the Internet to gather resources about the area you’ll be exploring. For example, the National Park Service offers a free, downloadable Junior Ranger Activity Book with age-appropriate activities like using a map, identifying trees by their bark, fruit or leaves, and interpreting trail signs. Determine the best time for your hike based on your family’s routine, and plan around nap time, if necessary. A good rule of thumb is to double the estimated time you think the hike will take. Go Local Match the destination to your children’s interests. Is there a star-gazer in your family? Your local nature center, arboretum or botanical garden may offer guided walks on full moon nights, Halloween, the winter solstice or other holidays. Take advantage of free or low-cost hands-on exhibits, theme gardens, guided hikes and educational programs. On the Trail The key to kid-centered hikes is to focus on exploring and enjoying, not on a distance. Try these ideas once your family is out on the trail: Lift up or roll over a log or rock and investigate what’s underneath. A magnifying glass or box is useful for holding and observing small creatures. Fill up a small bag or jar with objects you find along the way. Notice objects with distinct textures and smell — a pine needle, a feather, a seed pod, for example. Stop walking, close your eyes and listen for a minute. Then invite everyone to name, describe or imitate what they heard. We made it! The fun and learning don’t have to end when the hike does. Encourage your kids to savor the moment by recording your hikes in a journal. Family members can take turns recording the sights, sounds and sensations of your outings. Even younger children who can’t yet read and write can glue in trail maps, make leaf rubbings, trace natural stencils or draw pictures. • Let friends or family know where you’re going and the route you’ll be using. • Always carry a cell phone with a fully-charged battery. 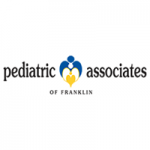 • Carry identification with your name, phone number, and any important medical information. • Stay alert, be observant about your surroundings and avoid areas where visibility is poor. • Follow your intuition about unfamiliar areas and people you meet on the trail. • Allow yourself enough time to complete your hike before dusk and never use trails after dark. • Teach your children that should they become separated from you for any reason whatsoever, to stay exactly where they are and not to wander away looking for you.